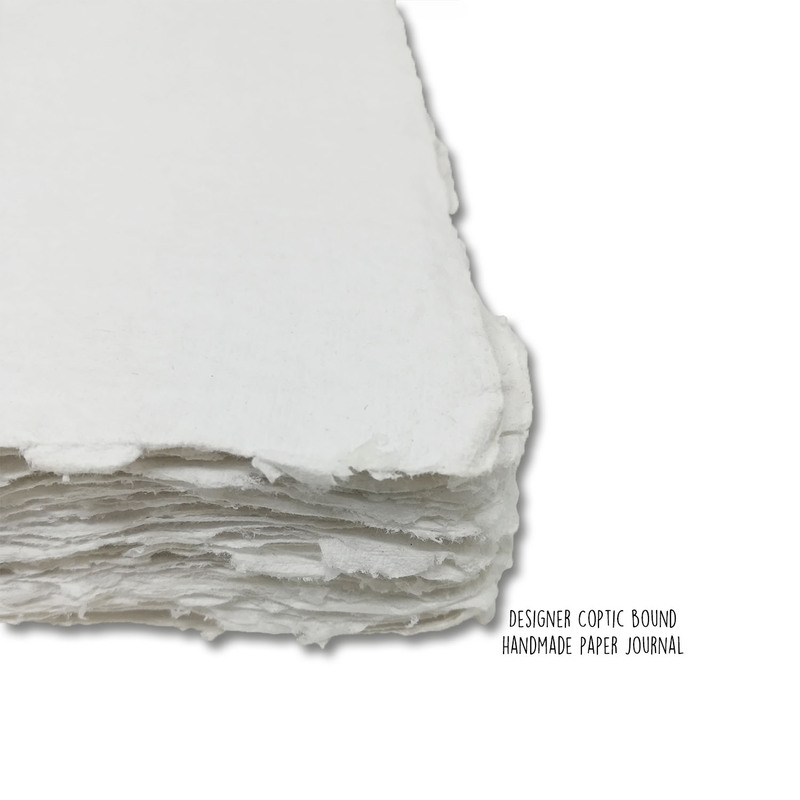 A wraparound white hard board jacket, with an attractive binding option. 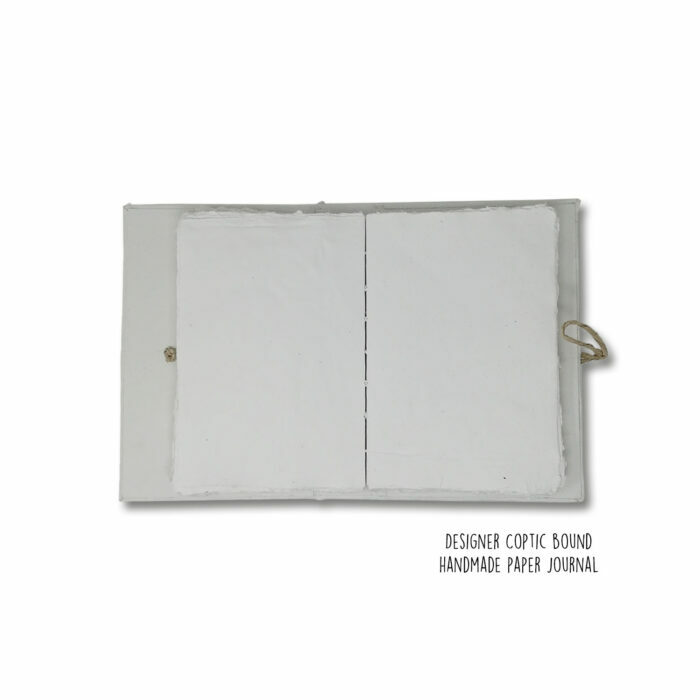 Coptic bind, white hard board jacket, white cotton deckle edge papers with black zigzag print, banana fiber cord tie-up. Dark Mauve, Bright pink zigzag print. Hard board, light pink deckle edge cotton papers, white linen wax thread, banana fiber cord tie-up.